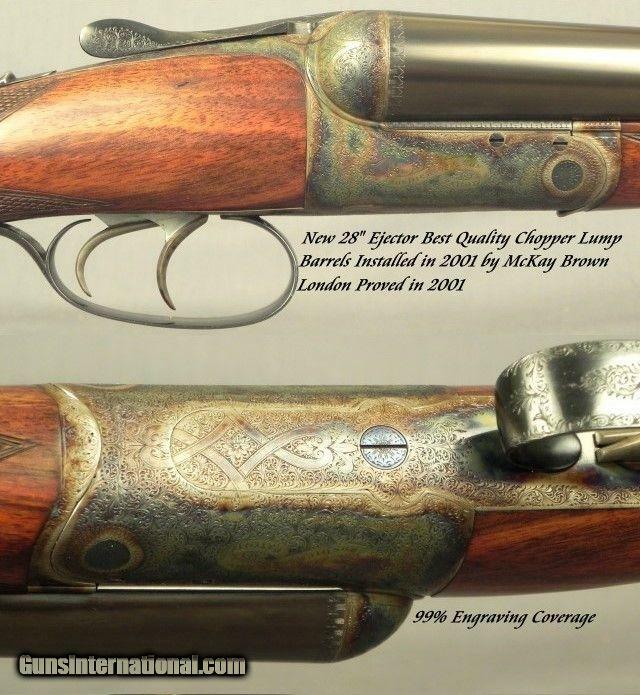 Here’s a jaw dropper. 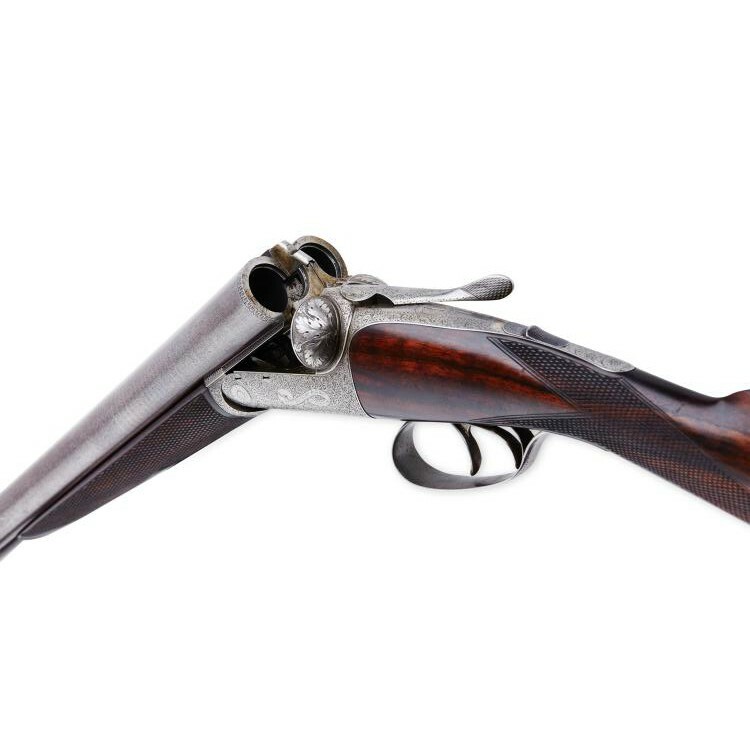 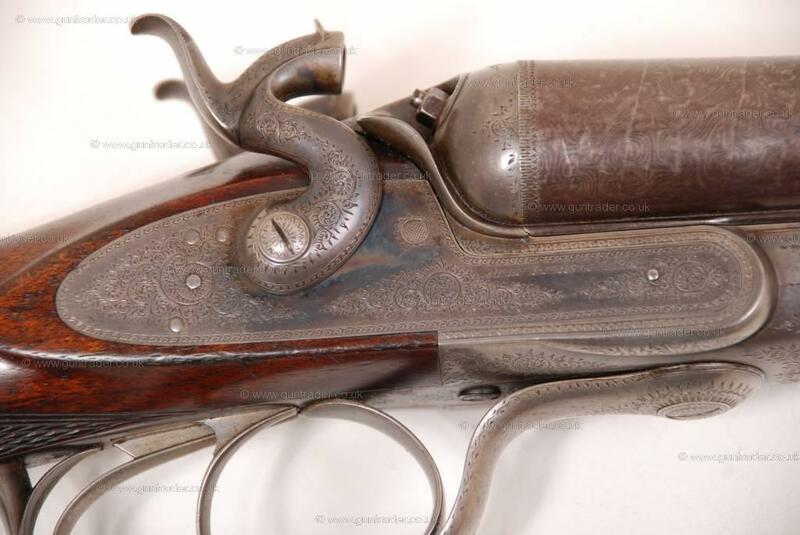 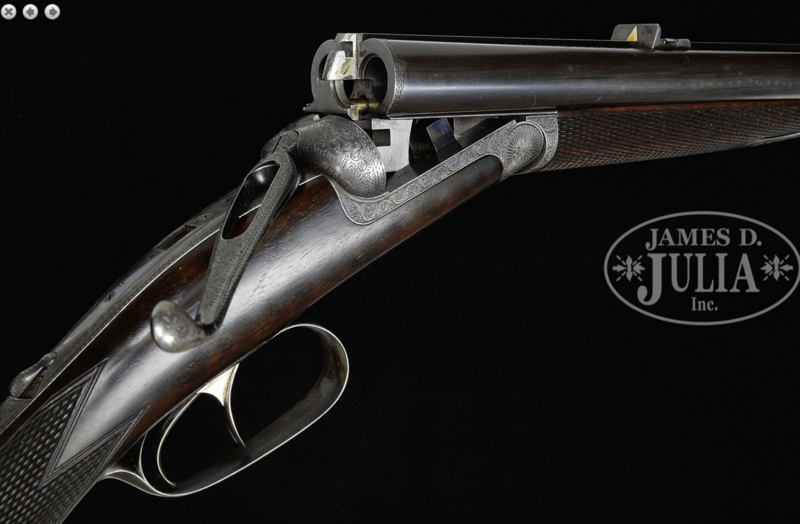 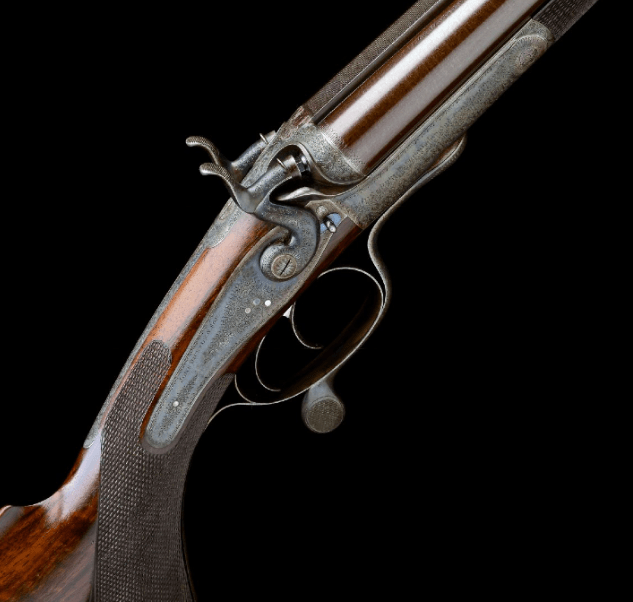 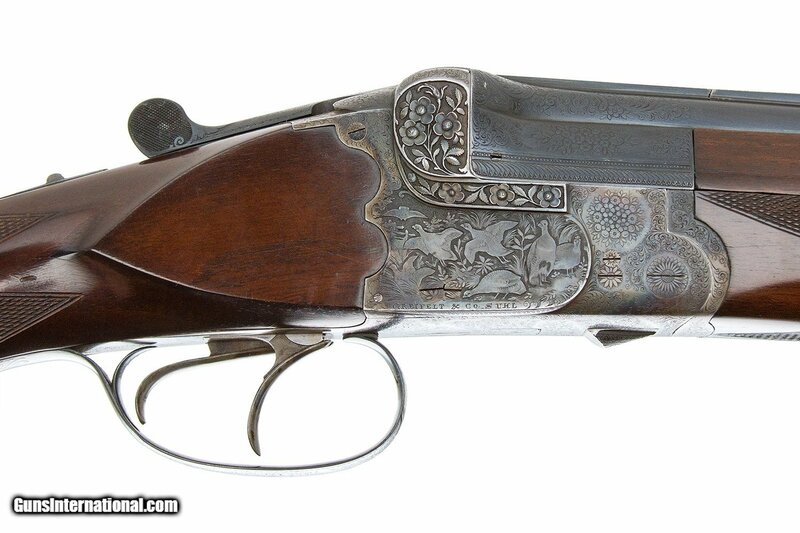 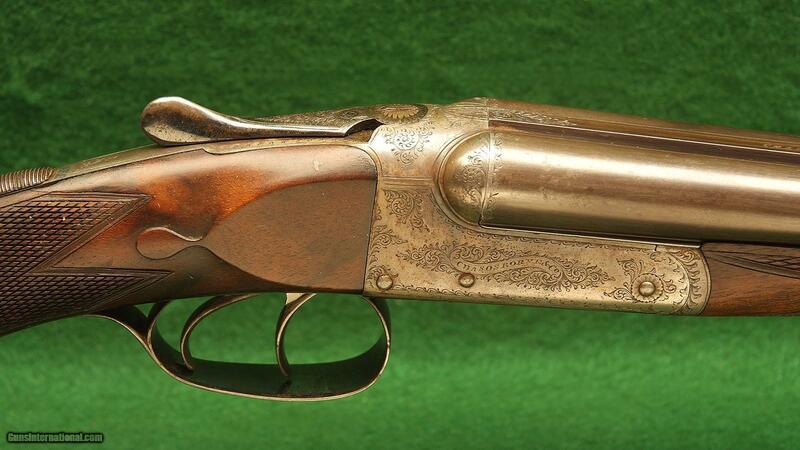 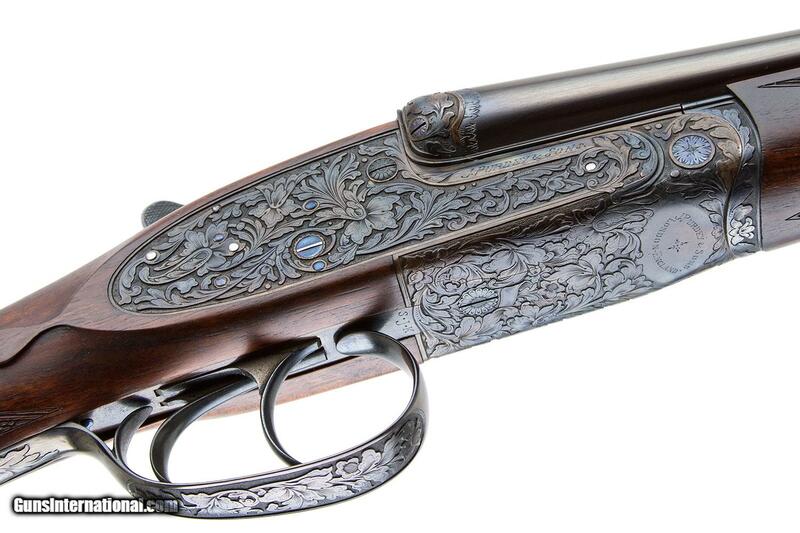 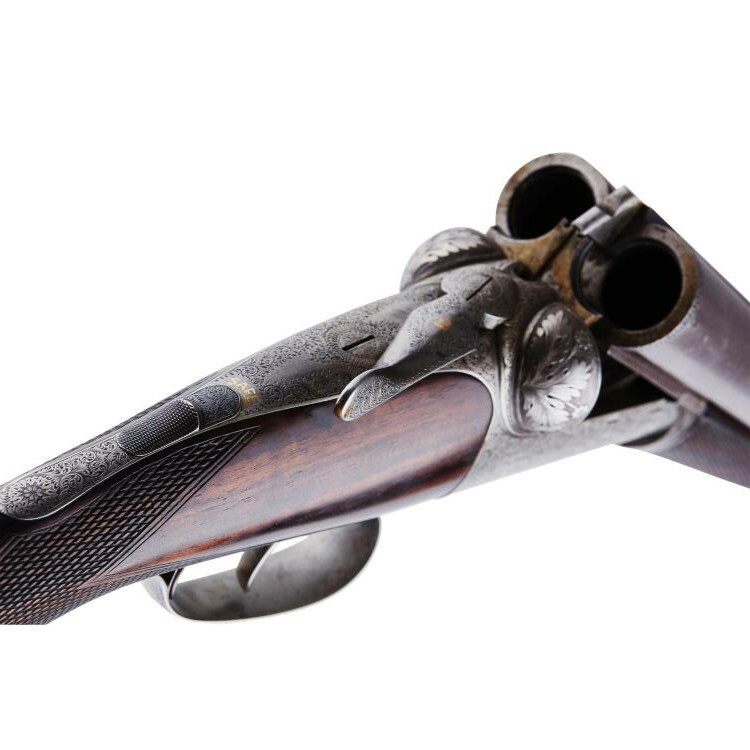 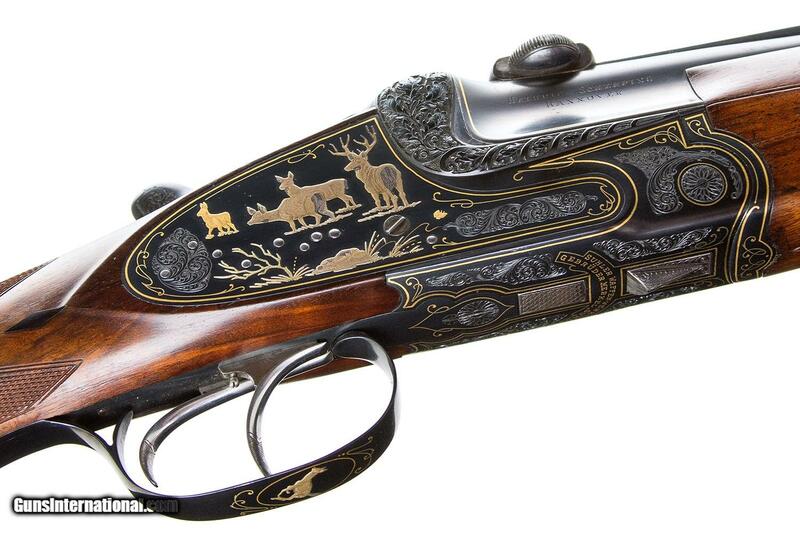 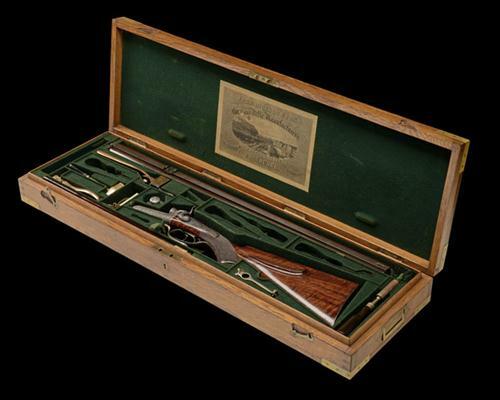 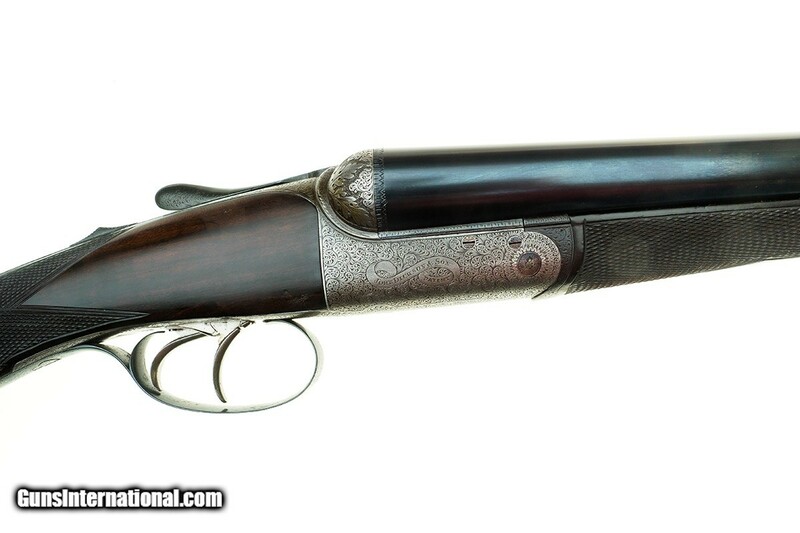 This stunning black-powder double rifle was by John Dickson & Son for eccentric collector Charles Gordon. 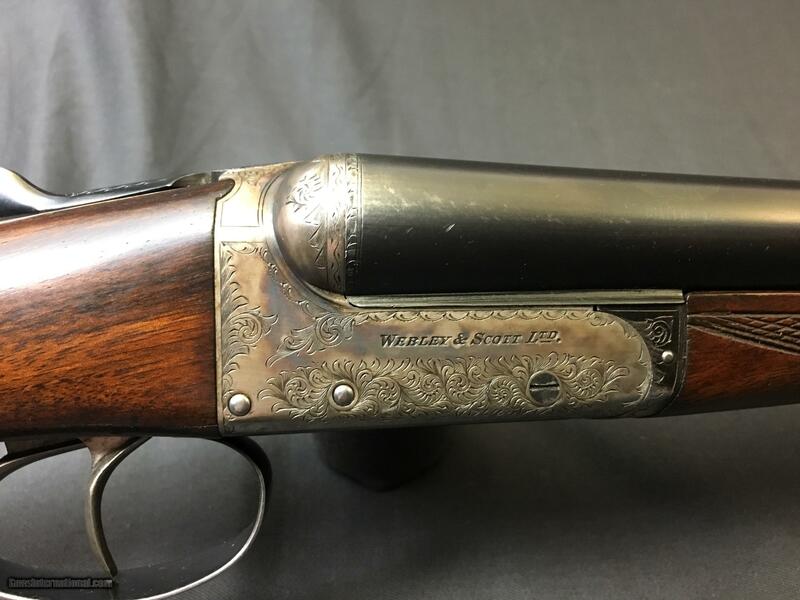 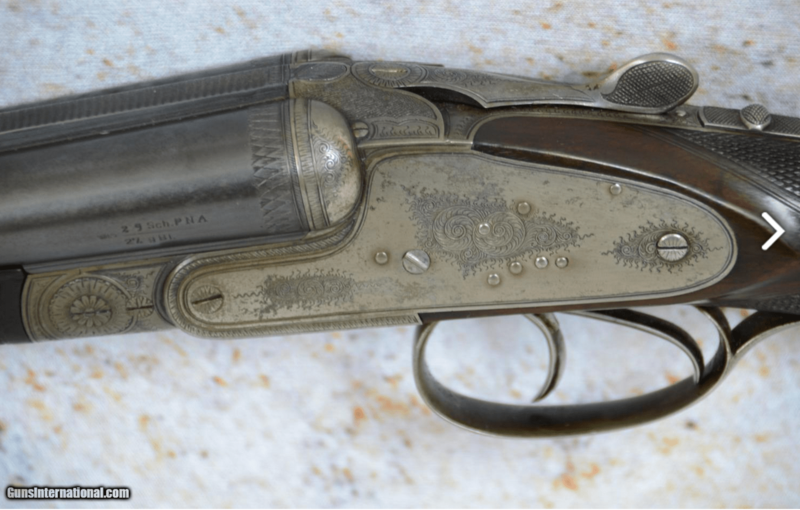 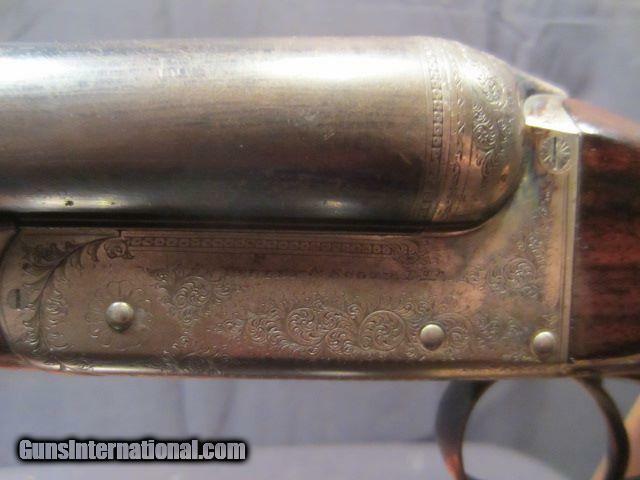 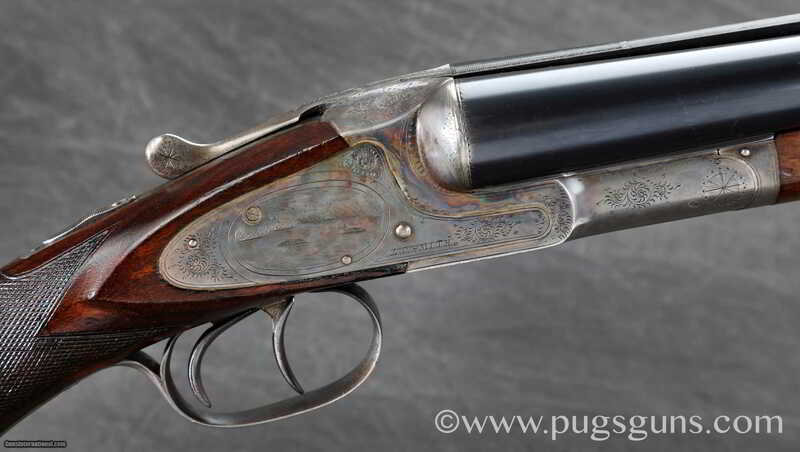 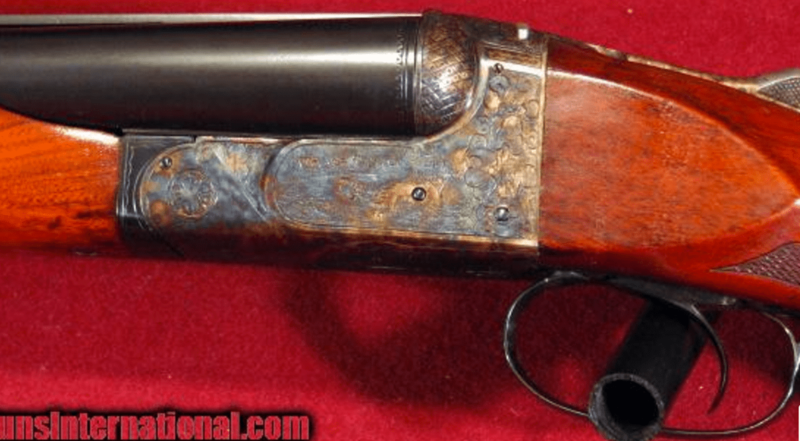 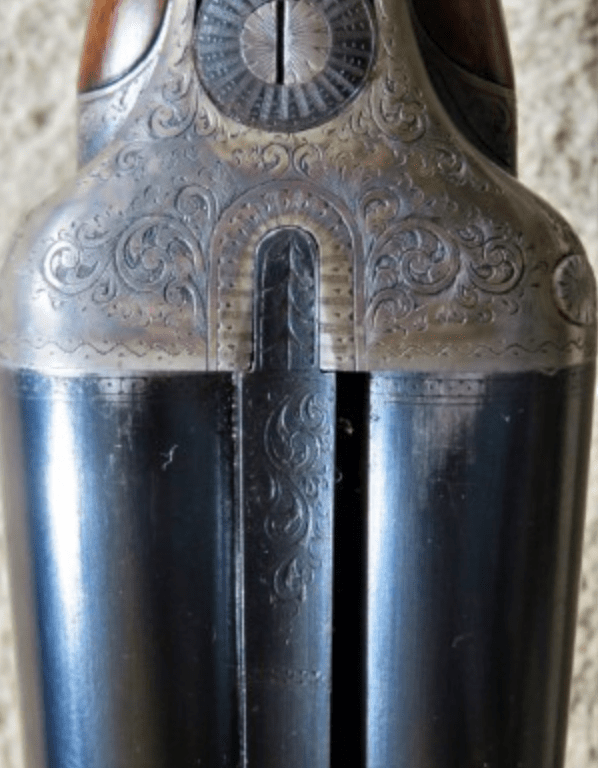 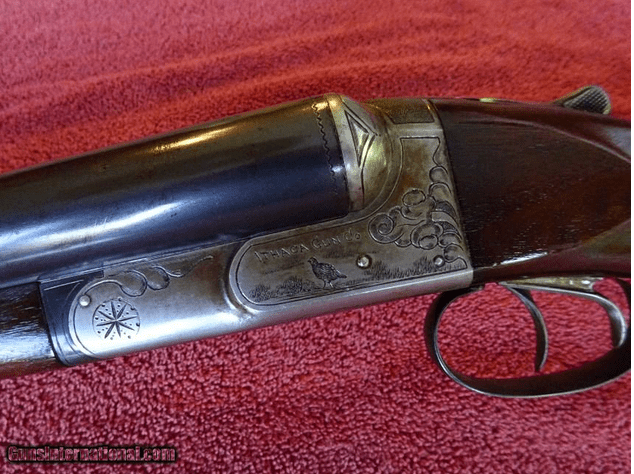 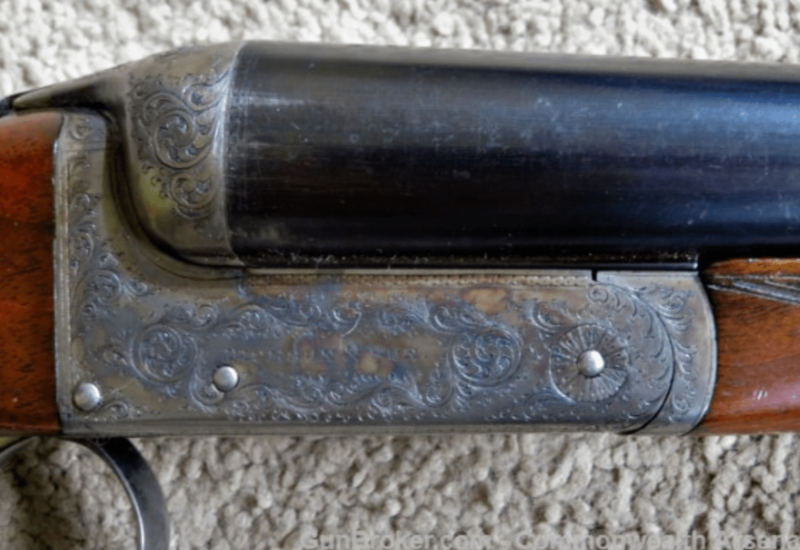 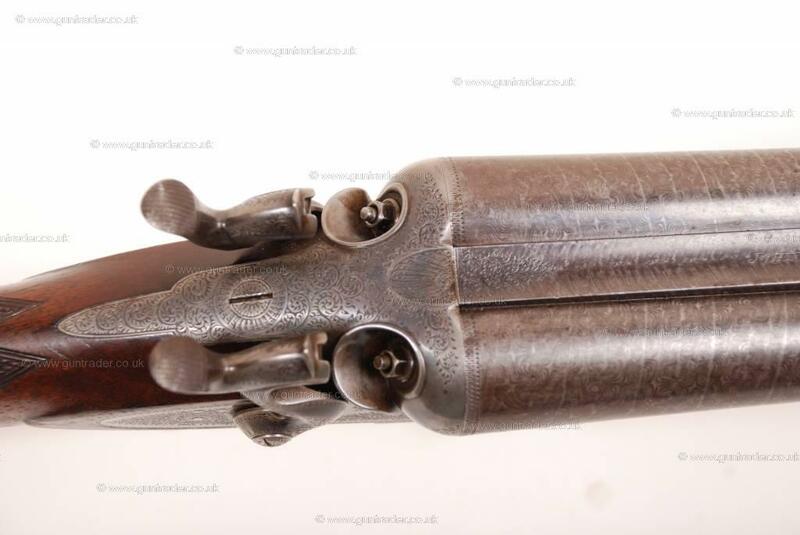 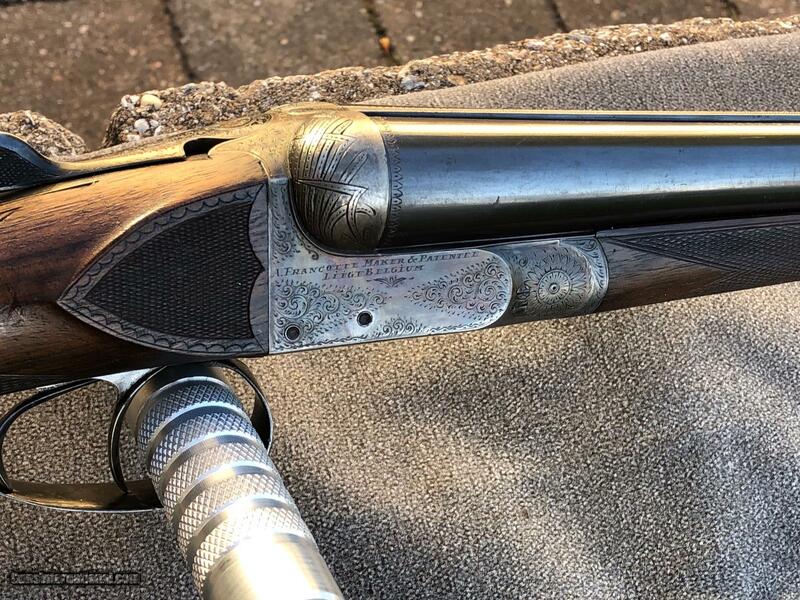 Provenance: The makers have kindly confirmed this to be a ‘Gordon Gun’ and that it was completed for him on 5th February 1886 as a ‘.500 hammer double C.F. 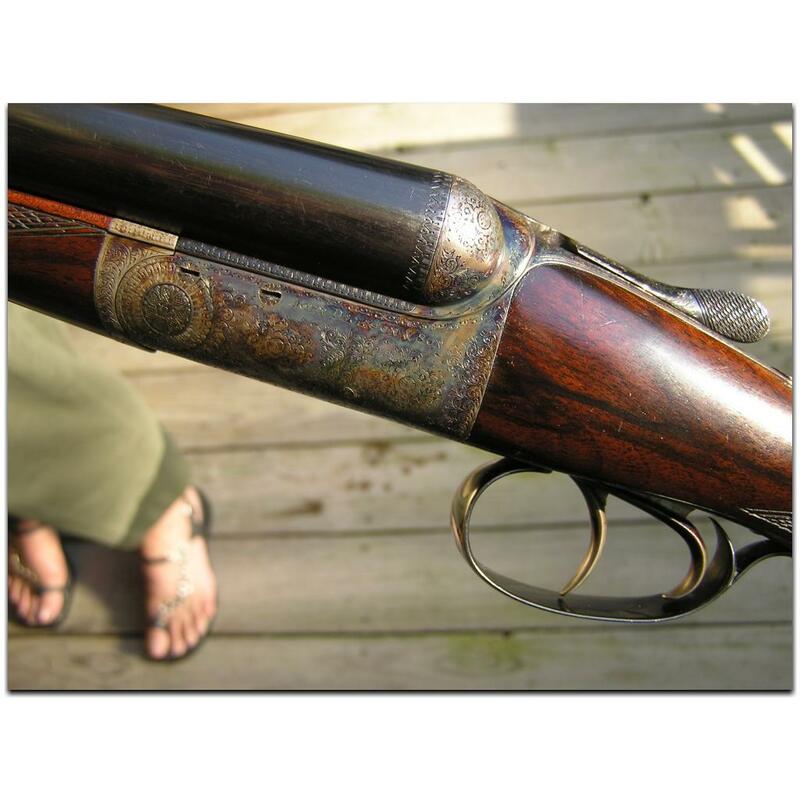 Express rifle, underlever’. 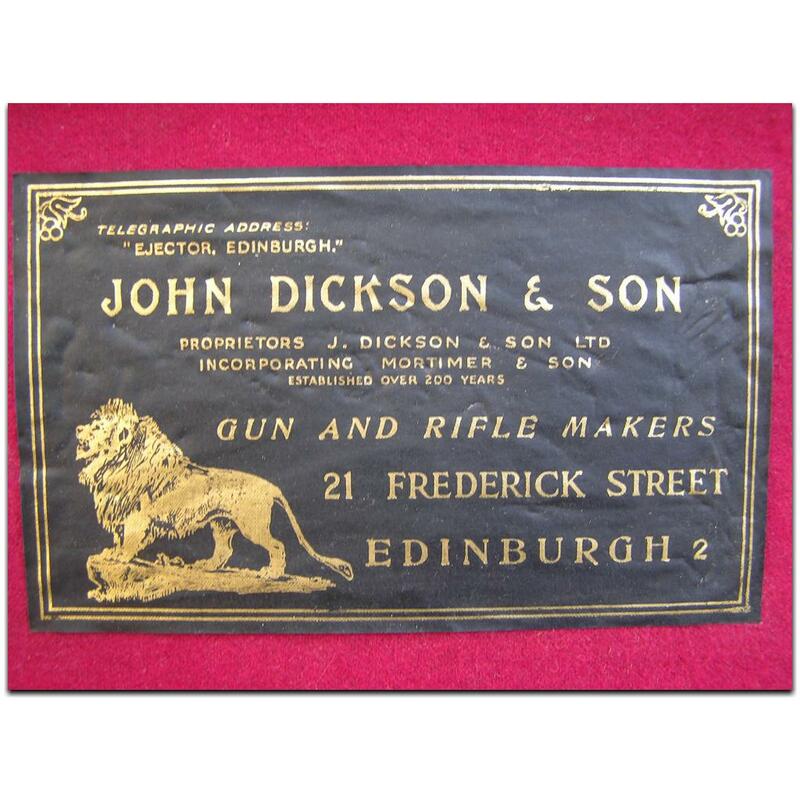 Of the 229 recorded guns and rifles ordered from John Dickson & Son by Charles Gordon, just 25 were centrefire hammer rifles. 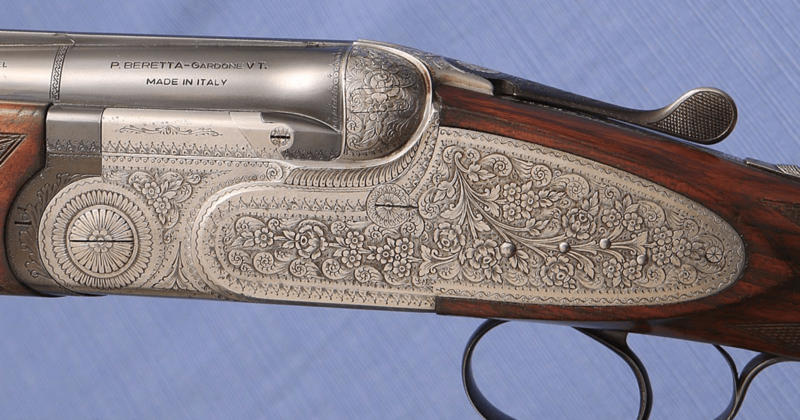 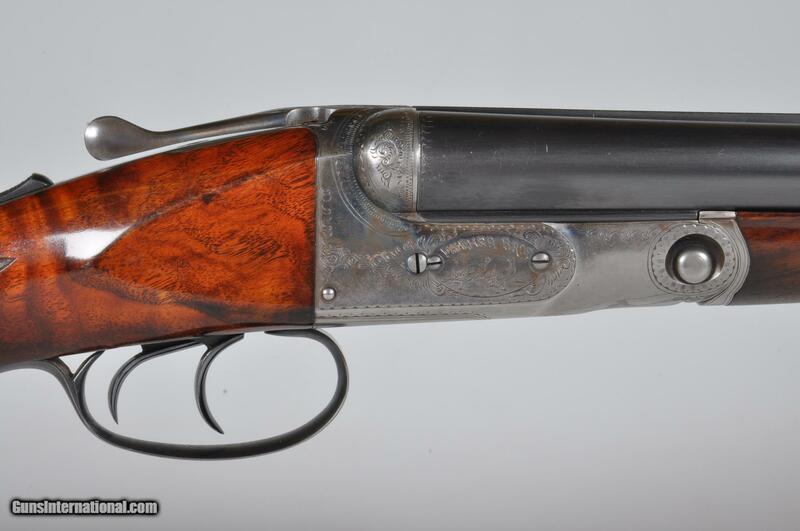 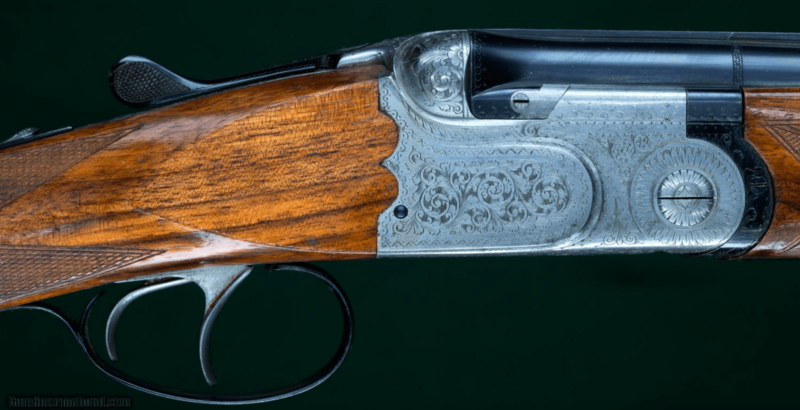 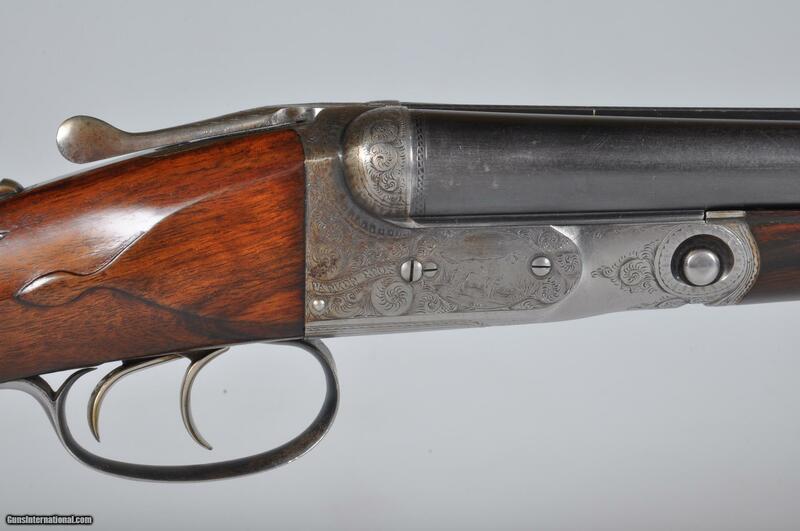 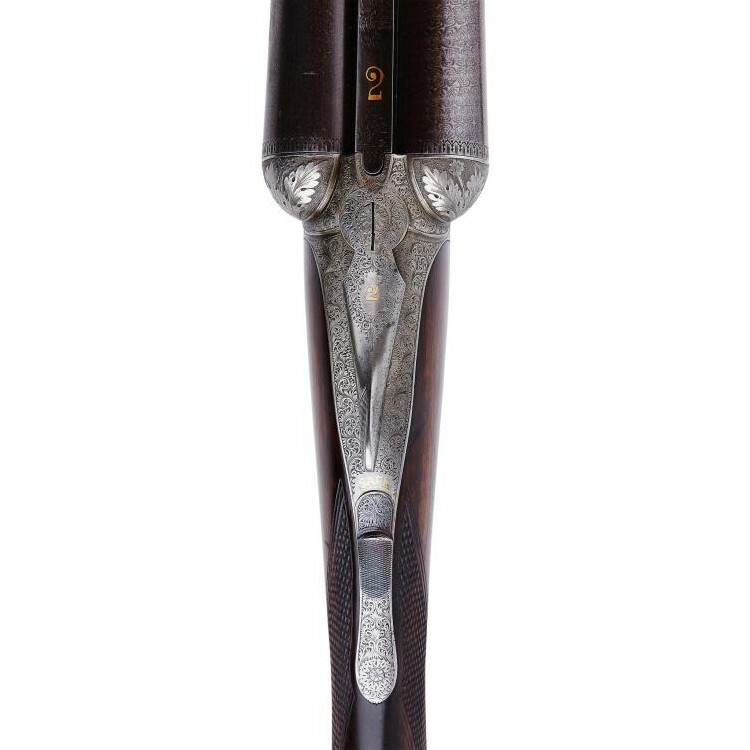 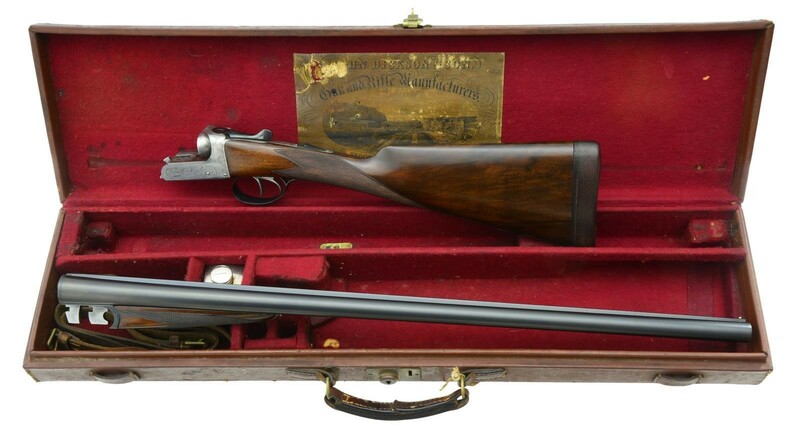 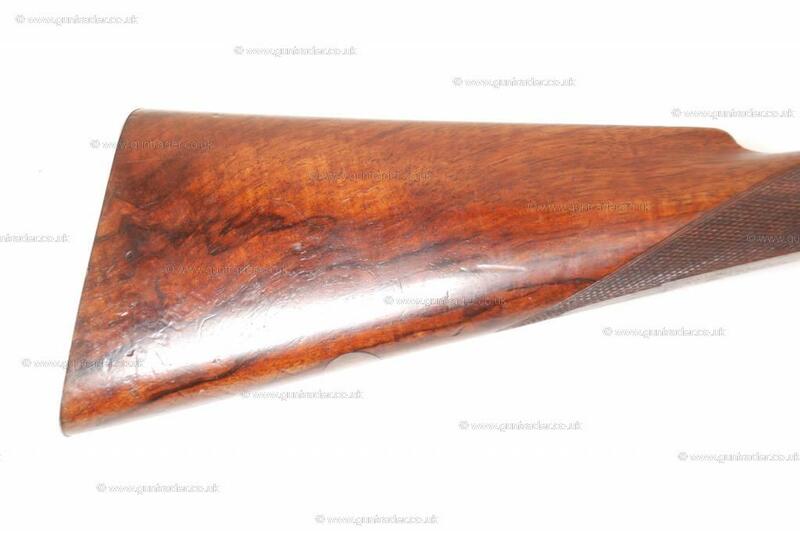 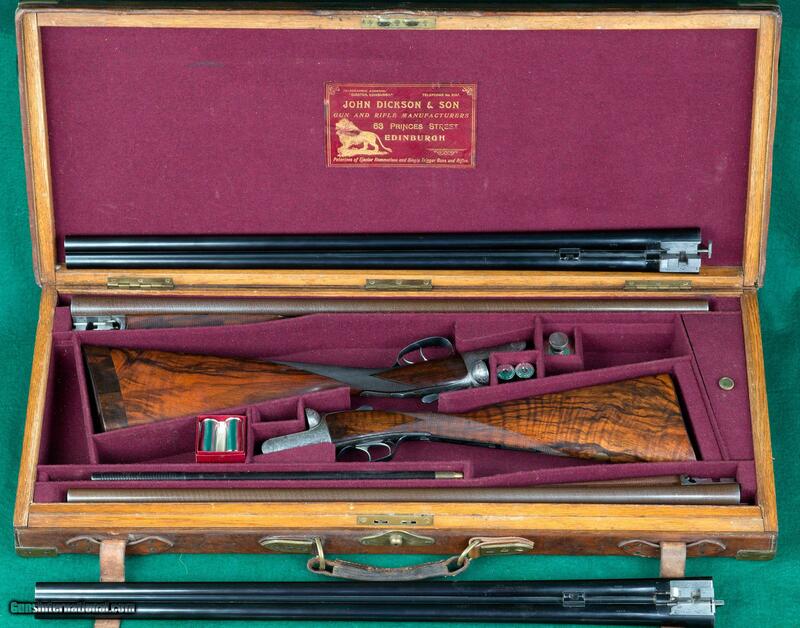 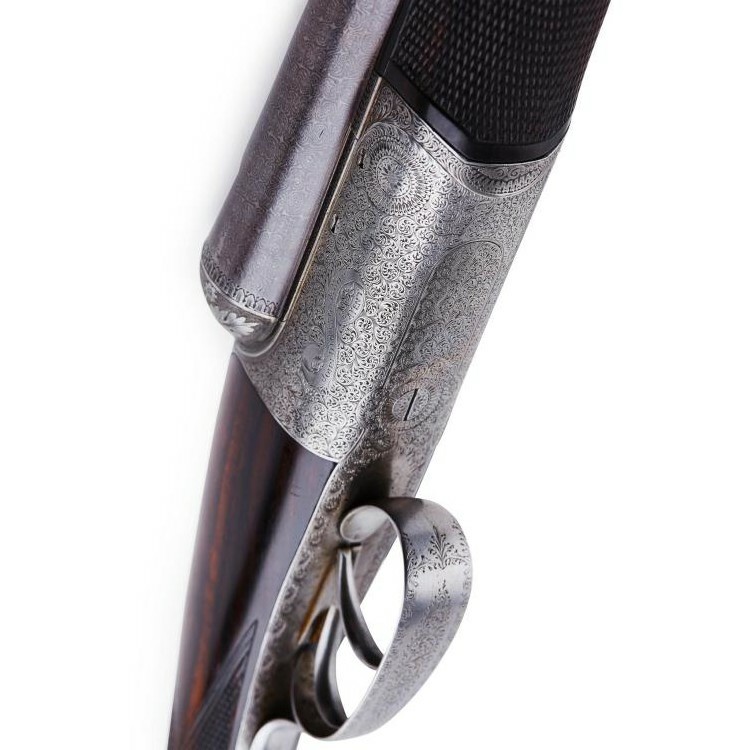 In the 1908 auction of Charles Gordon’s Collection by Dowell’s of George Street, just one centrefire rifle by Dickson’s was offered for sale, Lot 319. 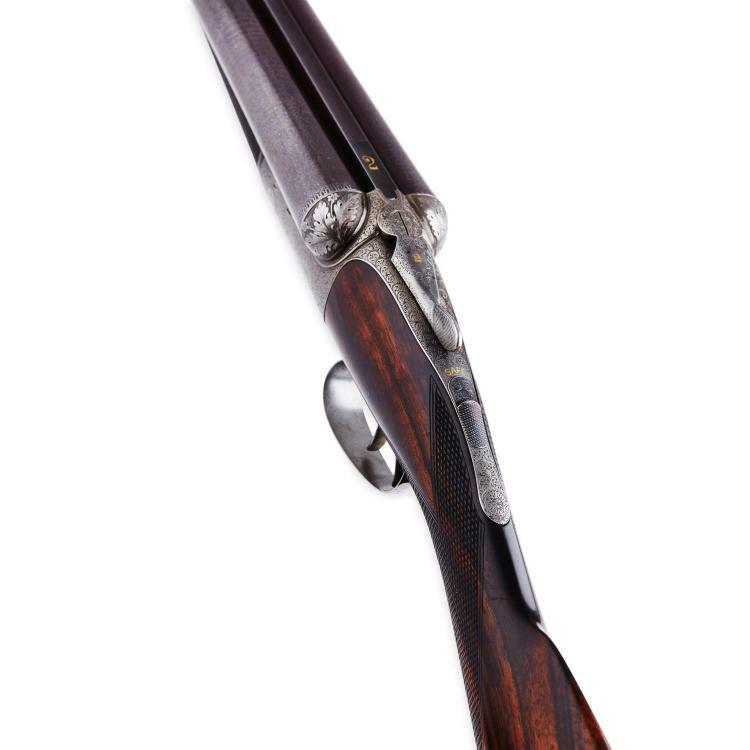 Described simply as ‘Breech-loading rifle, under lever action, by John Dickson, Edinburgh, and waterproof cover’. 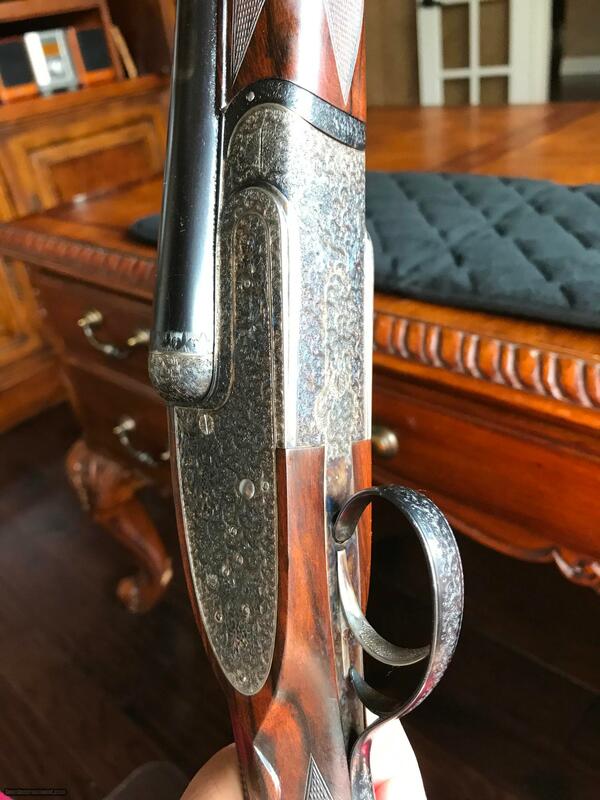 It sold for 21/-. 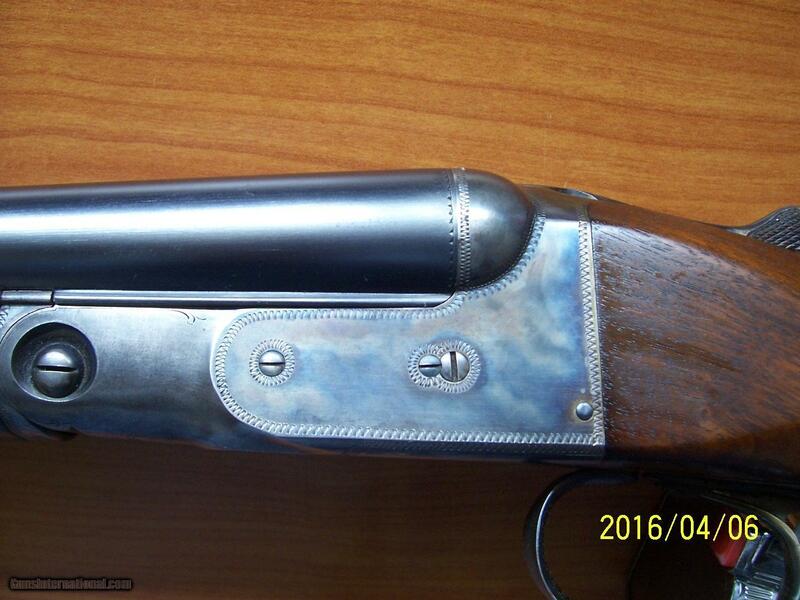 It is possible that this is when the rifle came into the possession of the current Vendor’s family. 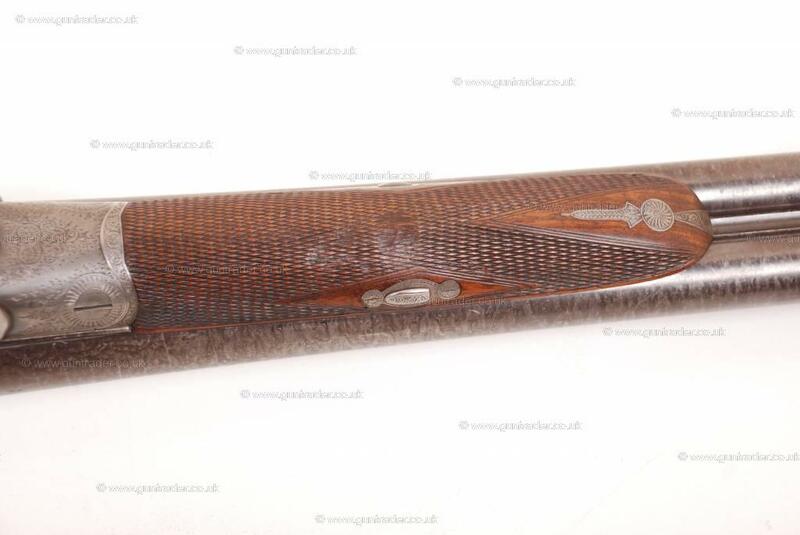 It’s on Ebay.co.uk now, and the listing ends on 11 Dec, 2014 22:52:11 GMT. 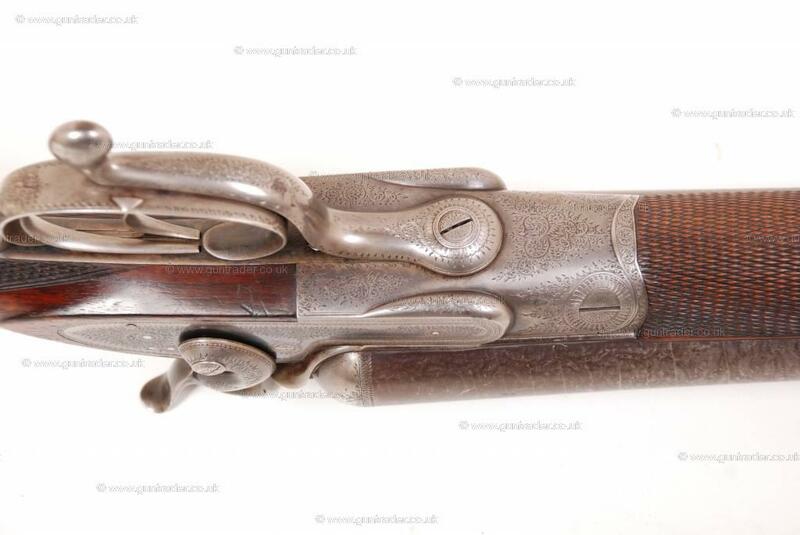 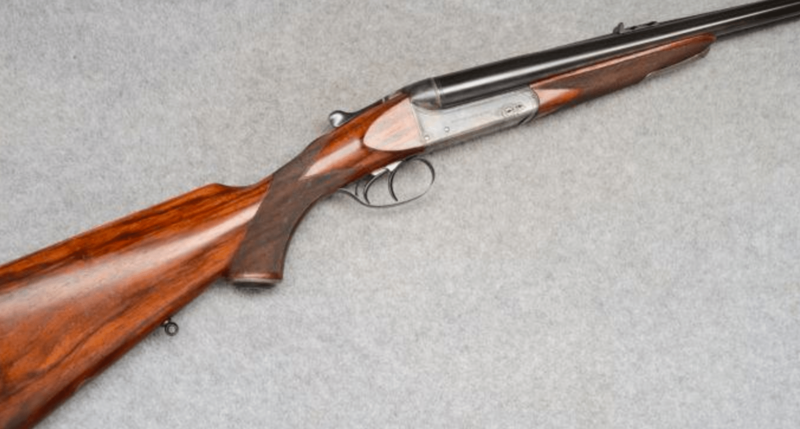 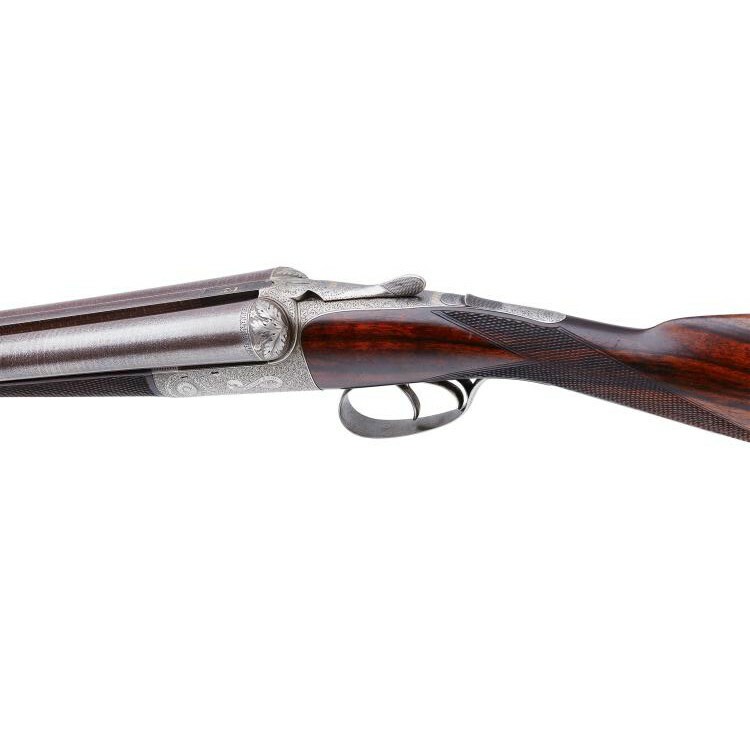 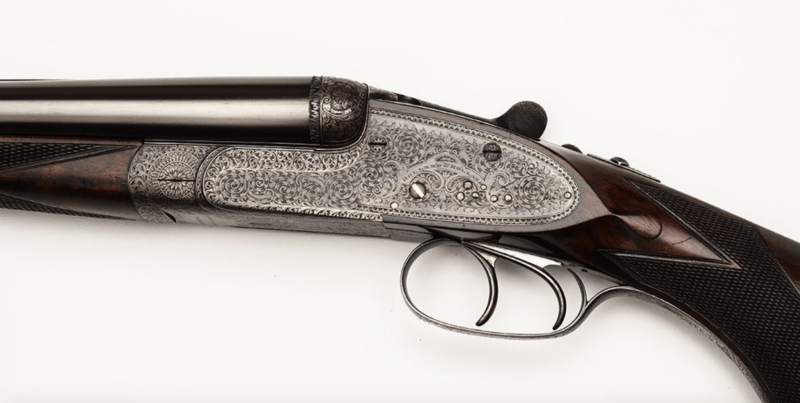 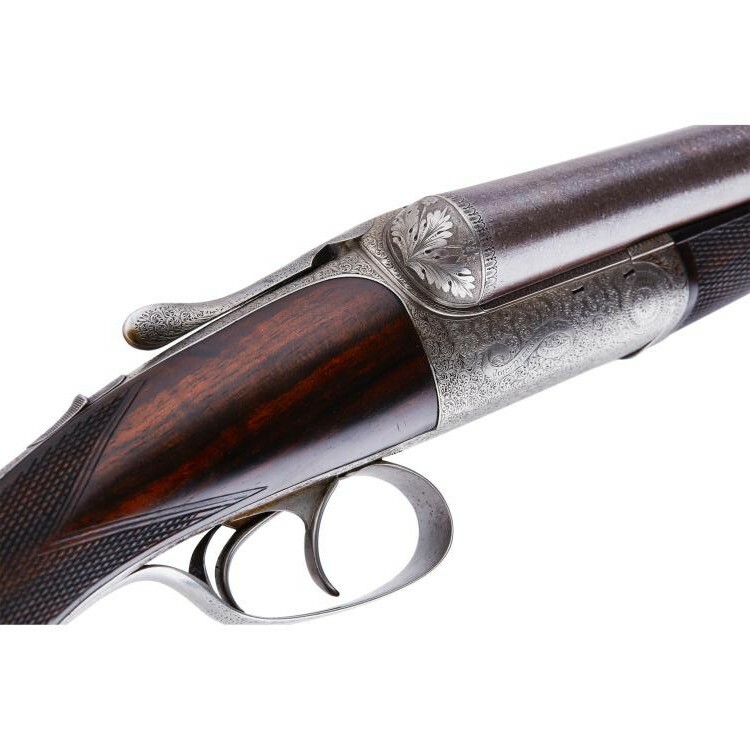 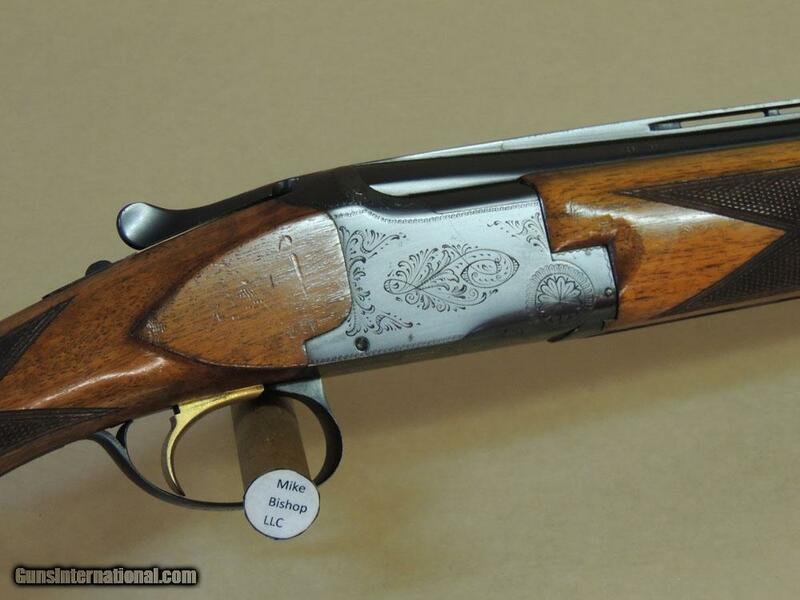 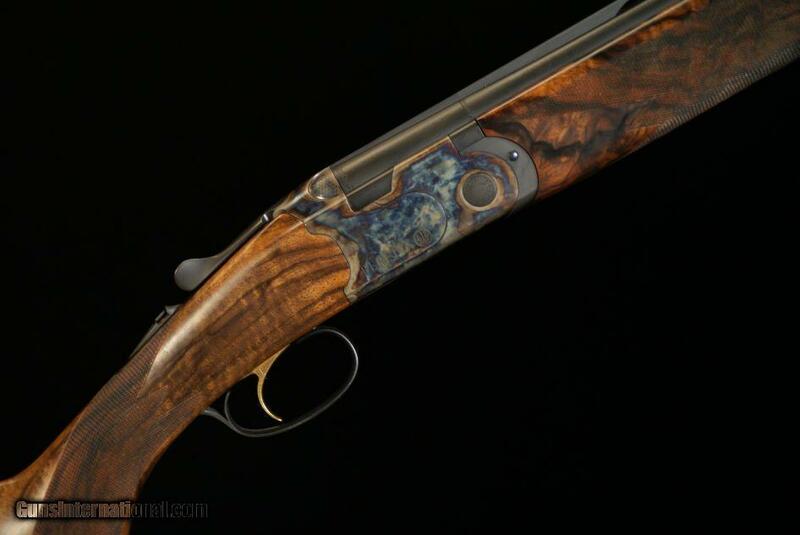 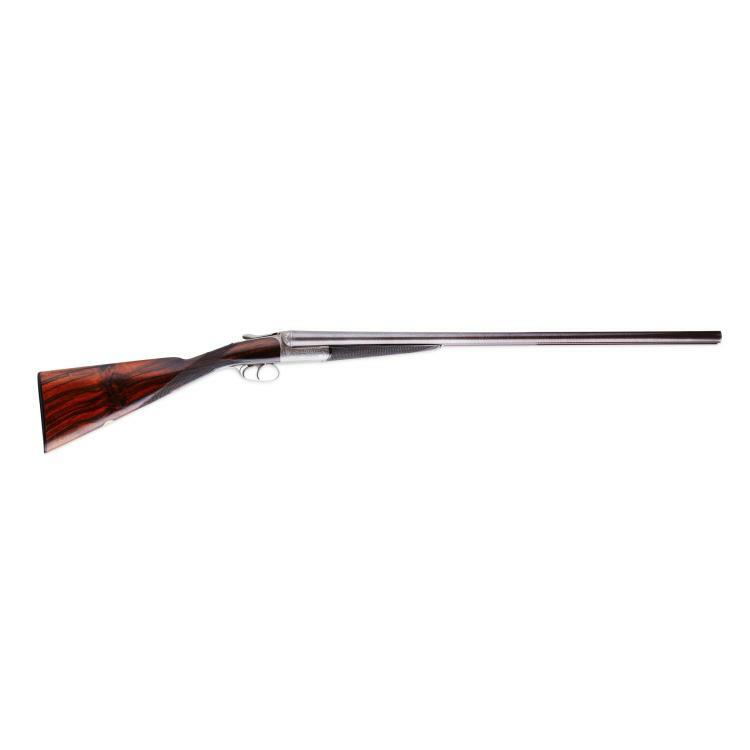 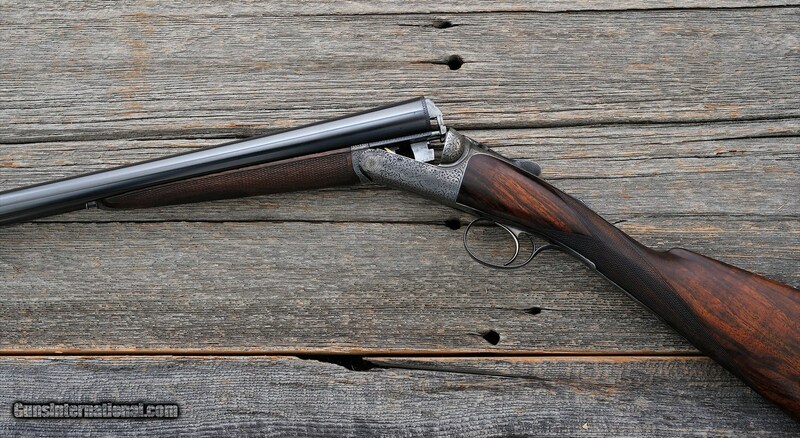 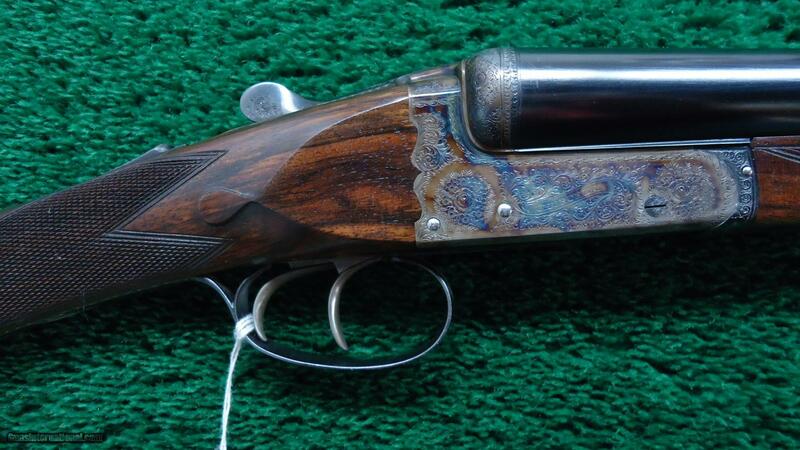 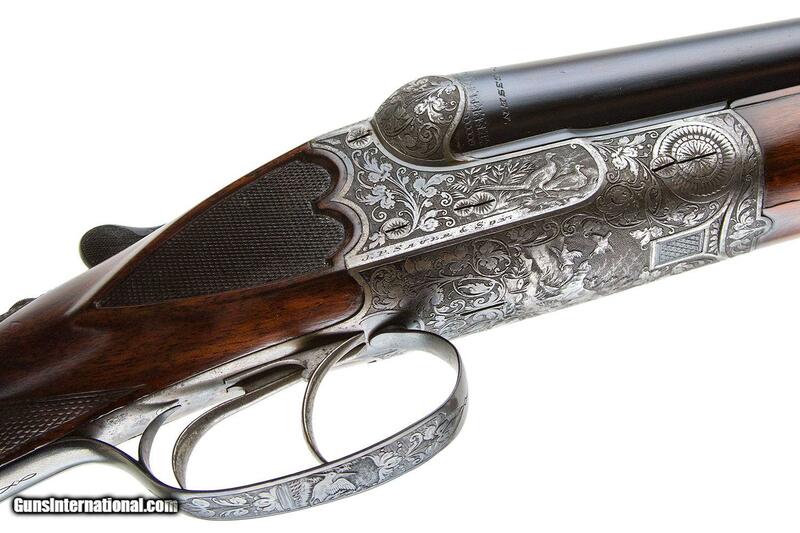 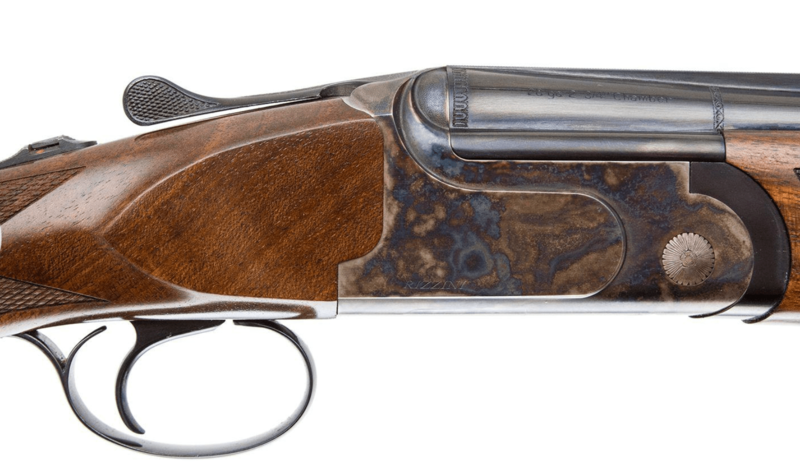 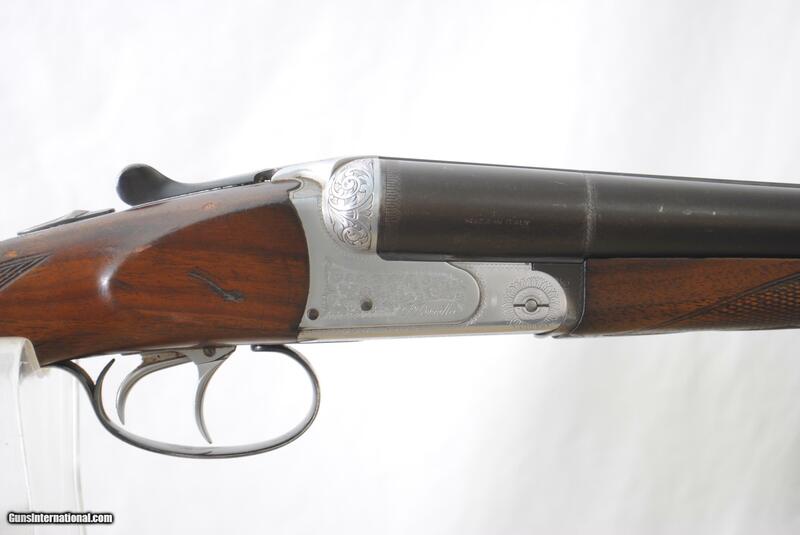 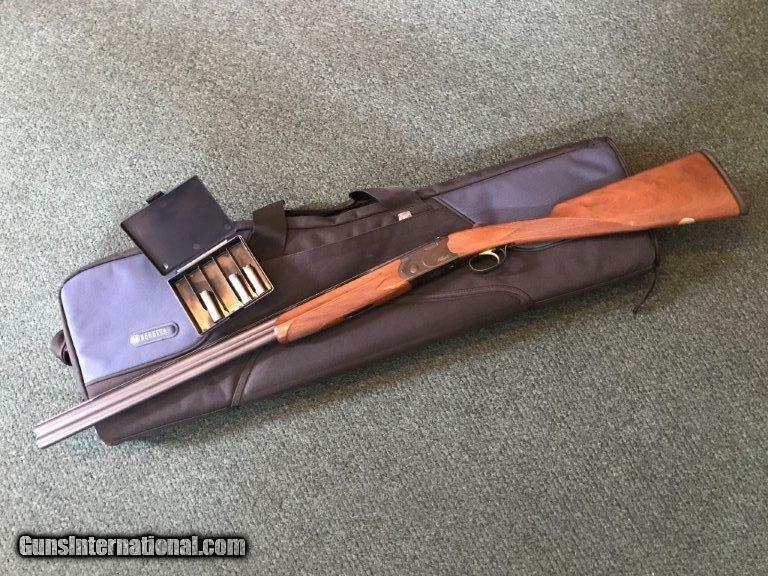 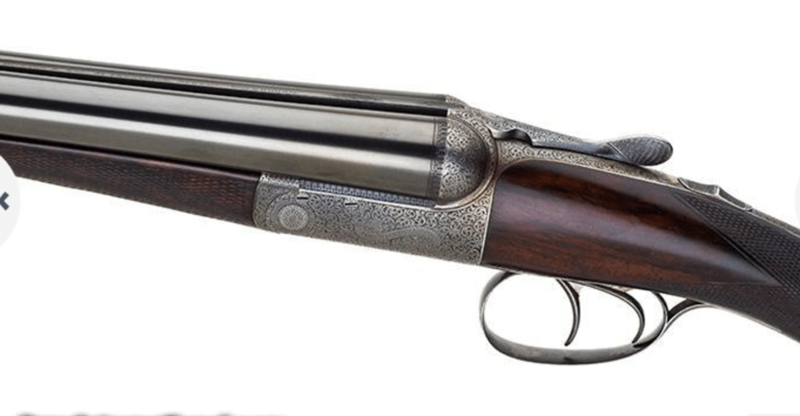 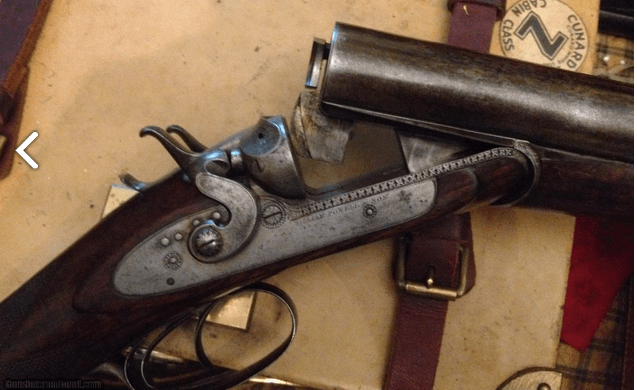 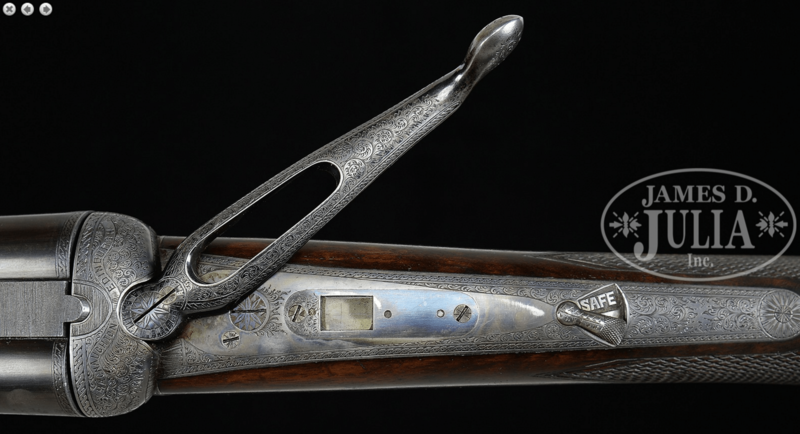 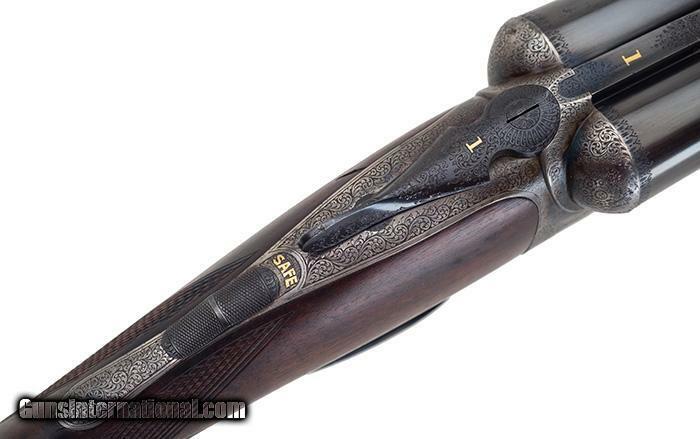 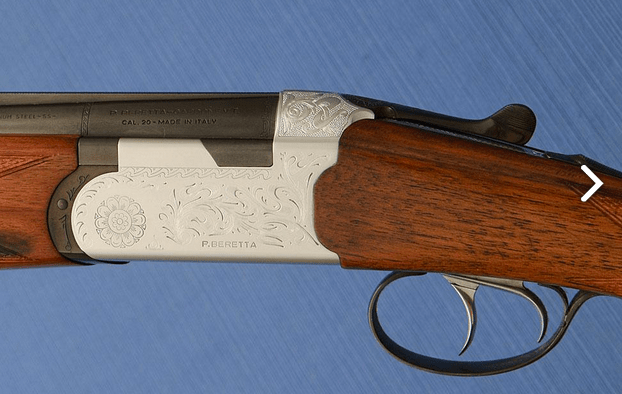 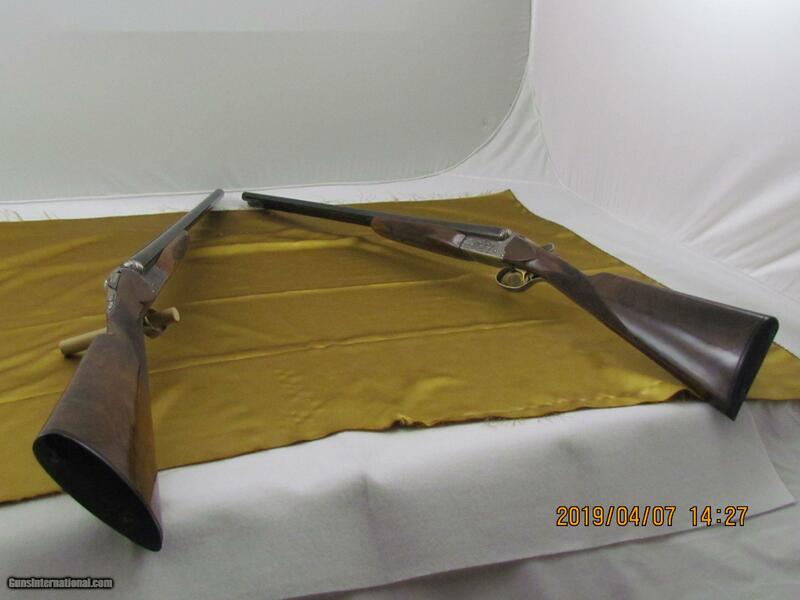 British and Scottish gunmakers are famous for their lightweight game guns. 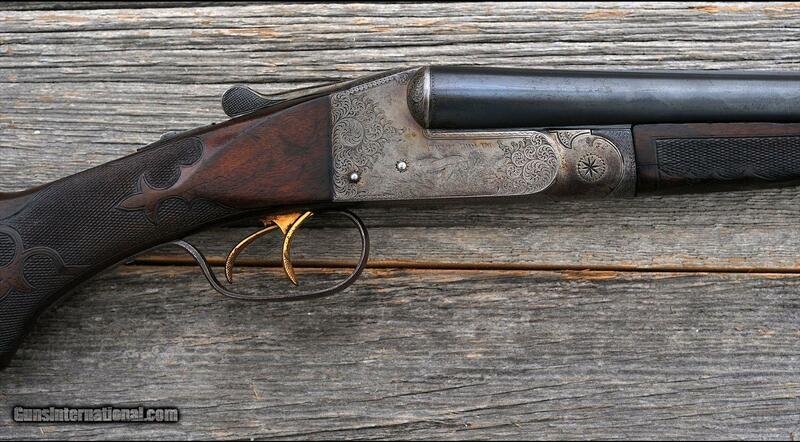 But they also made great shotguns for waterfowl and bigger game. 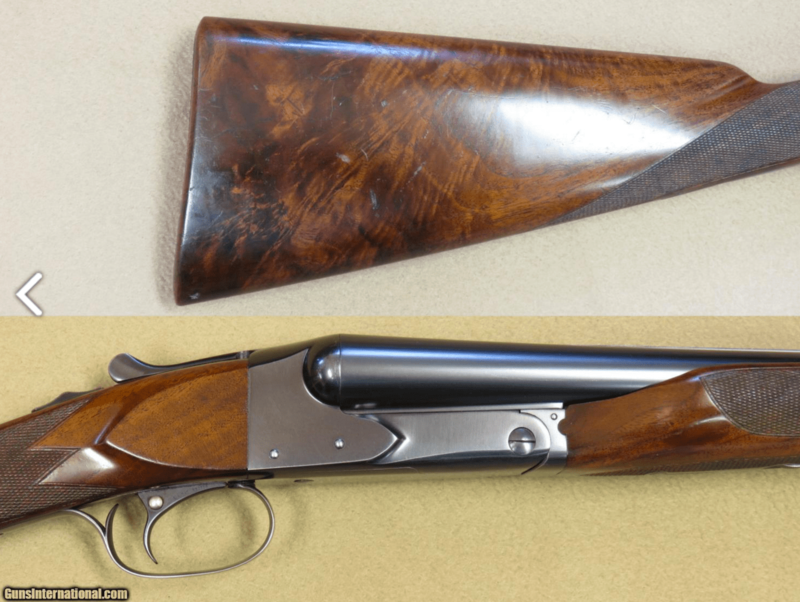 The Dickson boxlock you see here would be perfect in a duck blind, or beside you while you’re calling in a fat turkey. 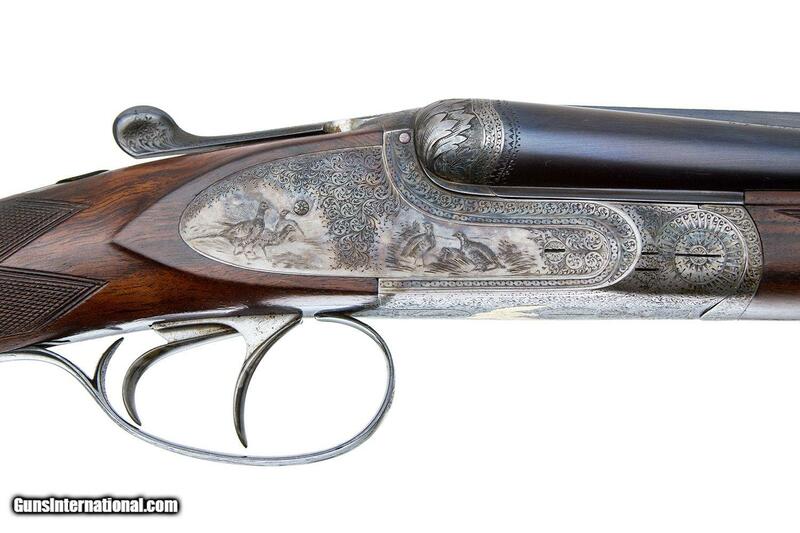 With original 1 3/8″ proofs, it can push enough shot to smack down large birds. 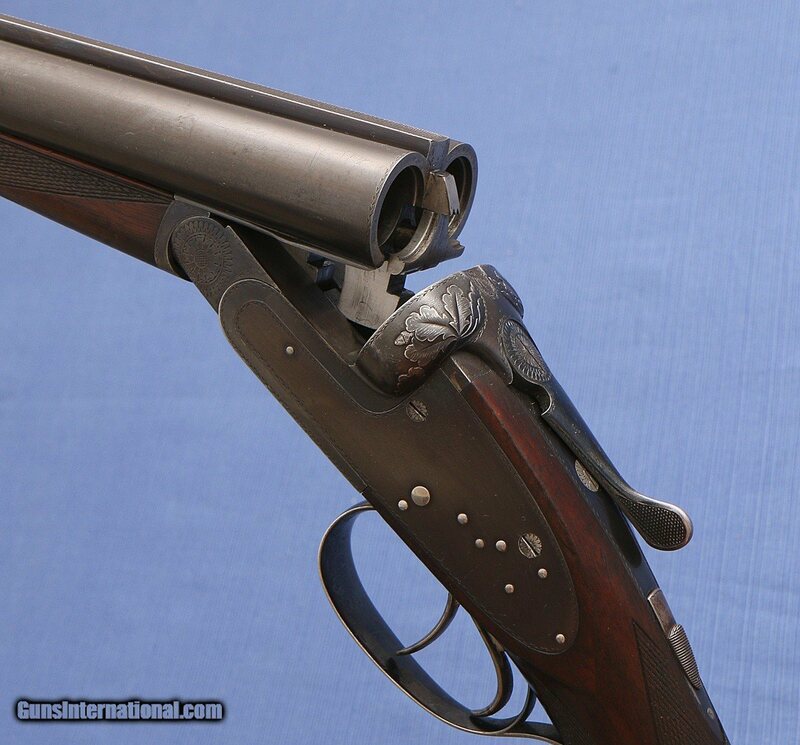 Because the gun is built for these load, it’s heavy enough to swallow up all that recoil and keep you from getting hit just as hard. 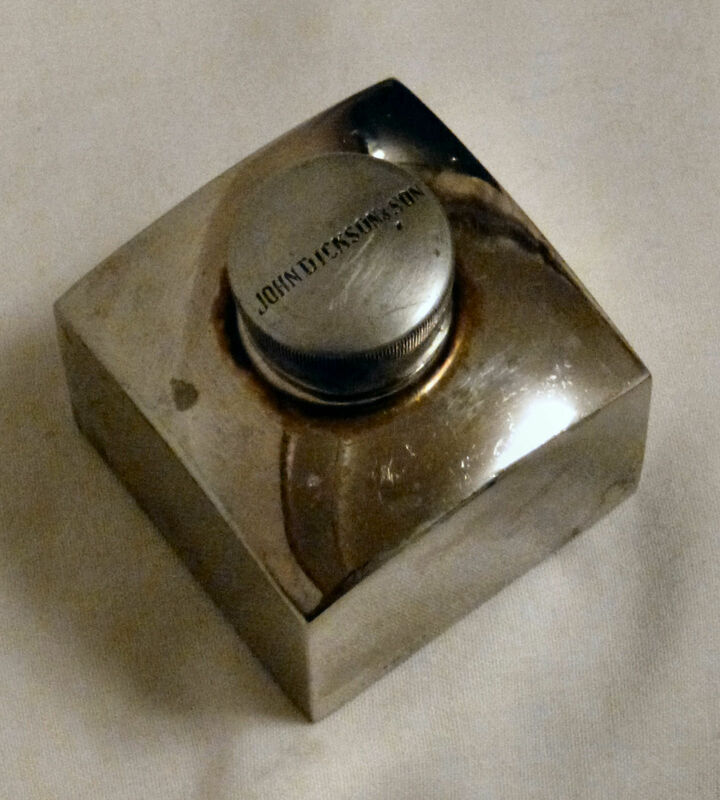 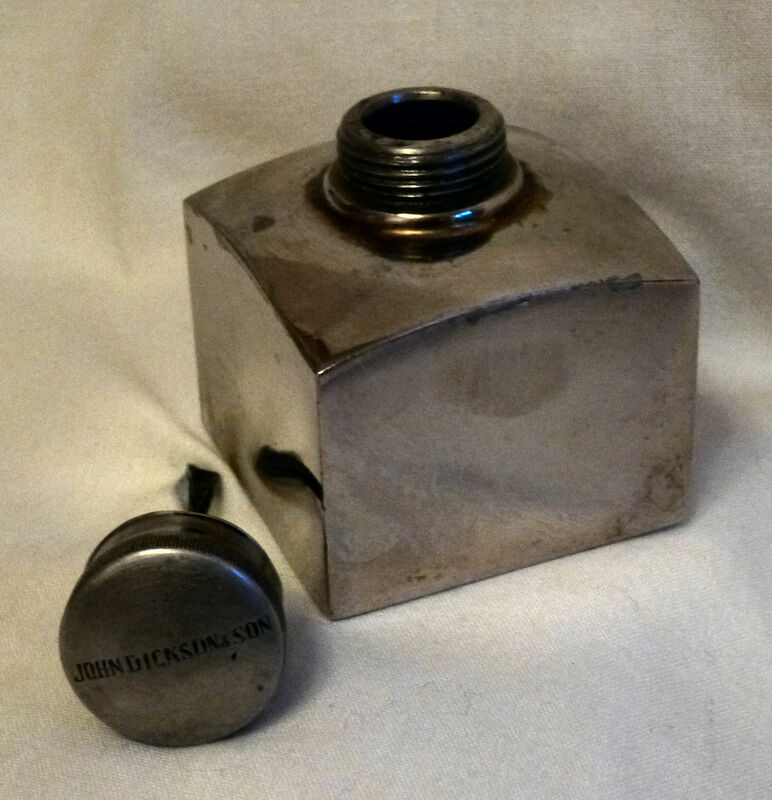 This one was probably made in Birmingham for Dickson. 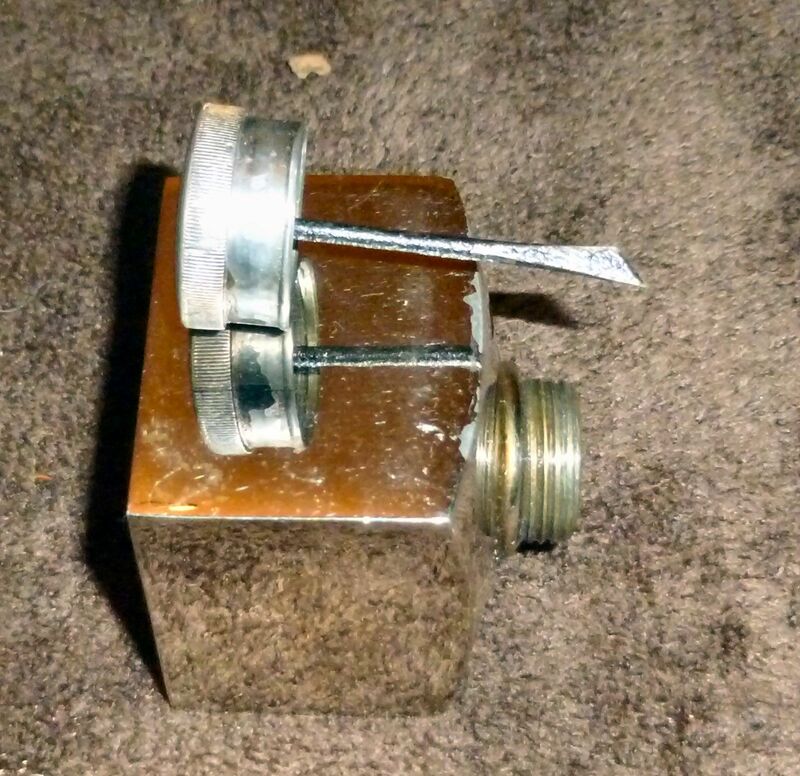 It’s looks pretty original. 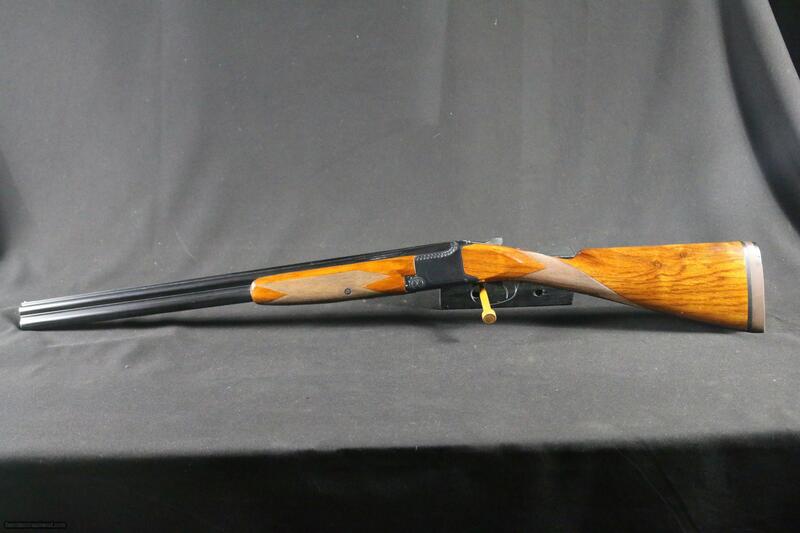 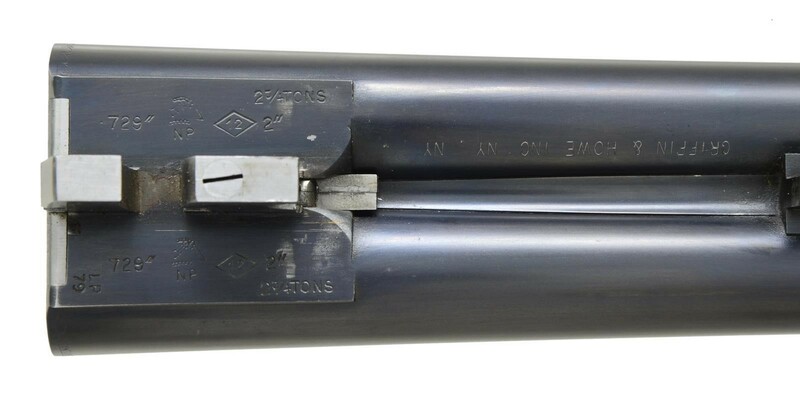 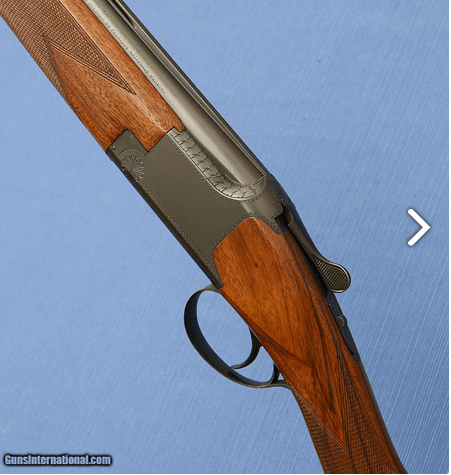 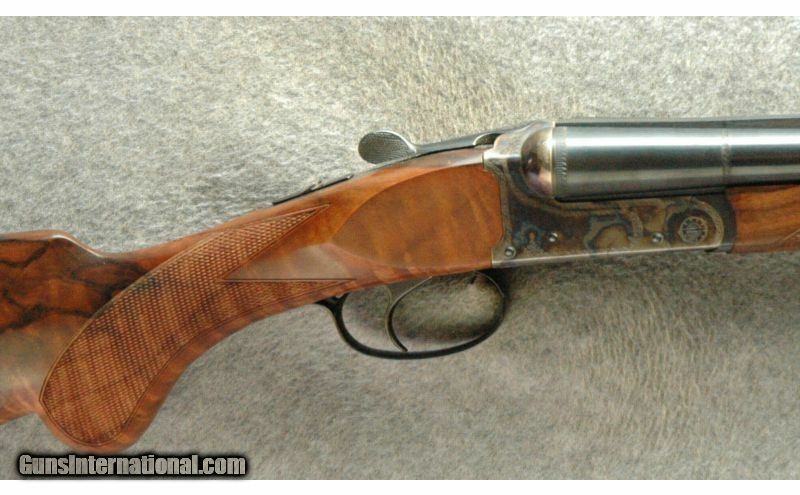 If the barrels check out and the rest of the gun is sound, it could be a good deal.